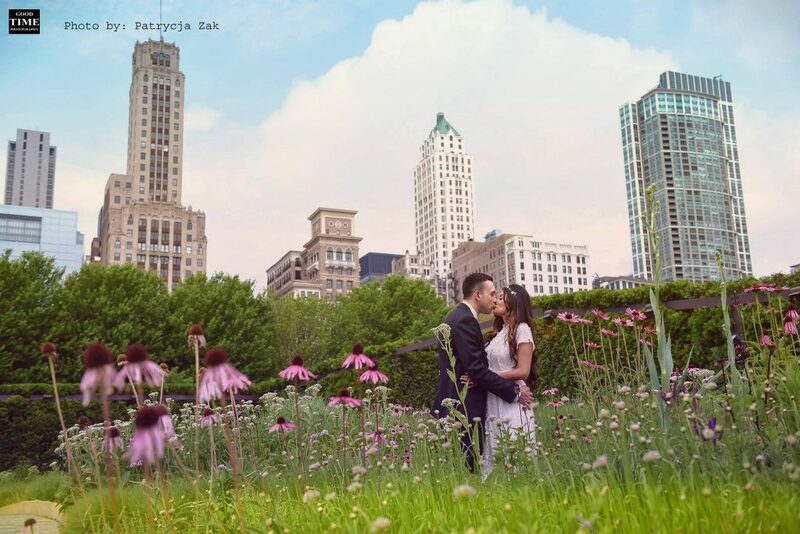 Why people elope in Chicago? The modern world acts differently on different people, but what can be said for most of us is that we feel stress and a lack of money necessary for modern life. These factors could greatly affect your plans for the future, including your wedding, and this is surely not an event to take lightly. It’s an important decision which may cost you a lot – both in mental health (people tend to go really crazy about their weddings) and the fullness of your wallet. Usually, the planning of a wedding is more stressful and money-sucking than the actual ceremony. So, more and more couples decide not to have a traditional wedding, but to elope. Eloping has been a kind of wedding ritual for a long time, and it’s still practiced traditionally in the Philippines and the UK. The semantics of the word ‘eloping’ have changed, of course. Today you don’t just run away from home to live with your puppy-love. Such thoughts evoke images of teenage lovers fleeing together, but as we mentioned, that’s not always the actual case nowadays. Eloping today has a lot of advantages, some of which are to avoiding being stressed-out by the planning, saving more money than you would for an actual wedding, and avoiding social judgment and the crowds that would flood your ceremony. ‘Elopement’ is a term used to describe a small and casual wedding. Whether if it’s spontaneous like in the past, or it is pre-planned. For some reason, people tend to search for alternative ways to celebrate their union. Maybe what we believe to be traditional – like marrying in a church and having an after-party with many people – is becoming old-fashioned? The average cost of a wedding in the United States is estimated to cost around $27,000. Needless to say, a flight to someplace nice with your loved one and some friends, then a small non-formal ceremony, and a flight back would be much cheaper. Of course, there are varying ways to celebrate, and it’s up to you to decide what suits you best. Another bonus is the excuse to avoid certain relatives. Eloping gives the opportunity to avoid inviting all the in-laws, step-siblings and other relatives. A casual wedding is supposed to be performed with only a few other people besides the newlyweds. The wedding industry sure is more directed towards formal, traditional weddings. That’s because more luxury and more people require more catering – and catering requires money. But lately, the industry has begun to change. A company named Enchanting Elopements offers elopement packages at various interesting places for less than $2,000. That price includes a minister, a photographer, flowers and catering. This explains why most couples who take the decision to elope rather than have a traditional wedding, are economically driven to do so. The casual character of a small and quiet wedding is actually more appealing to certain people. Sometimes weddings are just too much with all the stress, noise, and even awkwardness when meeting some of your relatives. Actually, it’s totally okay not to invite anyone to your wedding. We all know parents and other folks could be very insistent on how and where you should marry your loved one, how you should dress, what your attitude should be… enough. Save the sane person inside of you by avoiding all those stressful situations bound to the planning of a full-blown luxurious and expensive wedding. Eloping could be a much cheaper, more peaceful, charming, and intimate experience than being boring and traditional and exhausted at the end of your wedding day. We welcome all inquiries and there is never any obligation so please feel free to contact us. We are happy to answer your questions or meet with you in person at our studio.